It started this morning not long after I dragged myself out of our hot and snug bed. 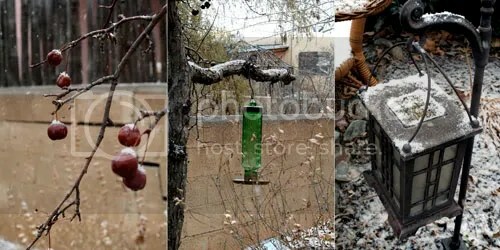 We thought it would be the same as the previous snow, just a little light shower with nothing sticking around for long. After a couple of hours of non-stop snow I went outside to take some pictures because there was a very light blanket covering spots in the garden. I was thrilled! But I did not expect it to look like this a couple of hours later when we went to the park! Everything was covered in an inch of snow and it was still snowing. The whole world had turned white and it was freezing outside. My toes felt like icicles! 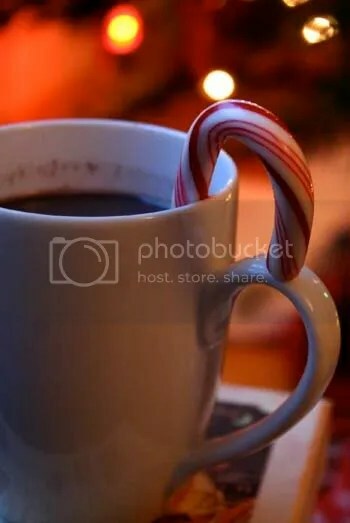 Making warm mugs of hot chocolate, decorated with candy canes, seemed the ideal way of warming us up!